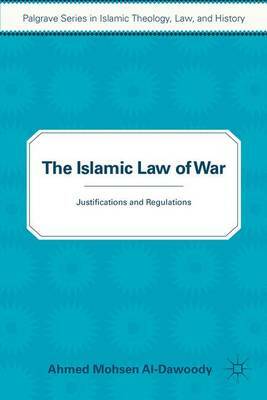 Al-Dawoody examines the justifications and regulations for going to war in both international and domestic armed conflicts under Islamic law. He studies the various kinds of use of force by both state and non-state actors in order to determine the nature of the Islamic law of war. "This is a highly technical book that will provide answers to many researchers on its dual topics of the Sha'ria position on the resort of the use of force and on the means employed during armed conflict." - Cherif Bassiouni, Distinguished Research Professor of Law Emeritus, President Emeritus, International Human Rights Law Institute, DePaul University College of Law, Chicago, USA. "With an astute and comprehensive analysis of a 'burdened' subject, Dawoody's book joins a few treatments of the subject in English that do not repackage medieval Christian perceptions of Islam as 'neutral' treatments of the subject of war in Islamic history. It will find its way into most syllabi of college courses on jihad." Ahmad Atif Ahmad, Associate Professor of Religious Studies, the University of California-Santa Barbara, USA.